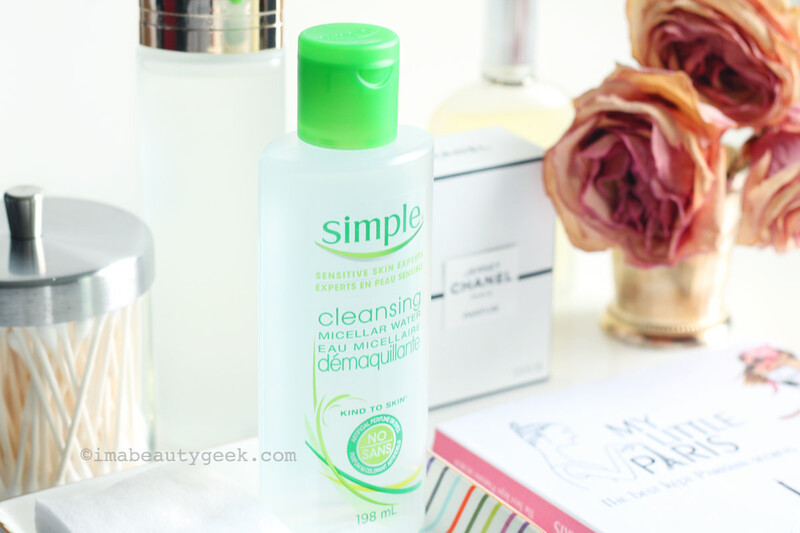 Simple® Cleansing Micellar Water -- don&apos;t keep it in the bathroom. 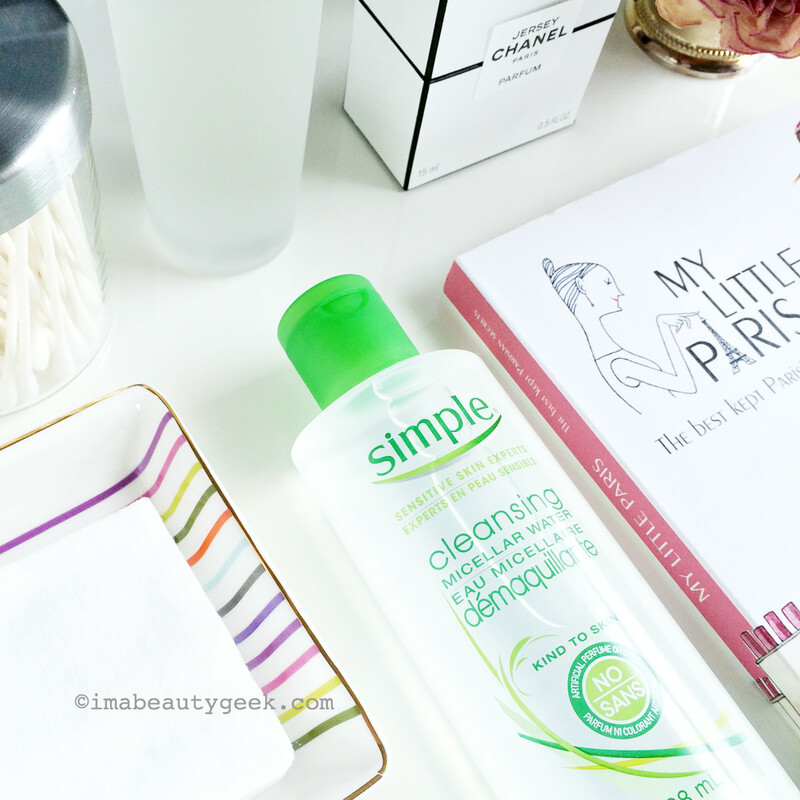 In partnership with the makers of Simple Cleansing Micellar Water. One of my favourite things to do when I get to stay in a nice hotel with a cloud-comfortable mattress and fluffy down pillows is climb into bed for the night with all my makeup on. Maybe you already know this about me: I don&apos;t wash my face at the end of the day. I haven&apos;t for years. Instead, I prop myself up against my pillows, get comfy, and reach for my nightstand stash, starting with my micellar cleanser and cotton pads. I&apos;m a micellar cleanser devotée. I&apos;ve tried a whole bunch. 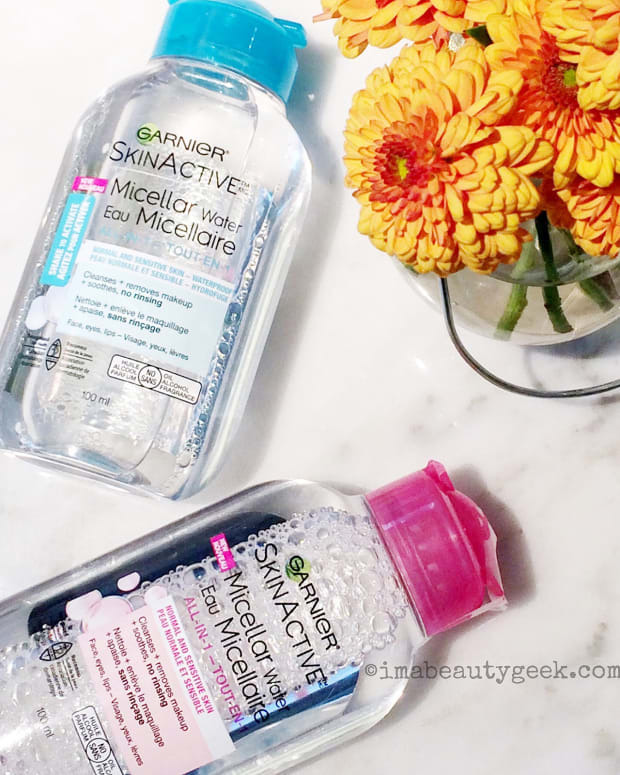 And right now I&apos;m into Simple Cleansing Micellar Water ($9.99 at well.ca). Lovelies, it&apos;s perfume-free. That immediately makes it one of my favourites, and makes it friendly for sensitive skin. Plus the formula contains skin-soothing chamomile extract, panthenol and niacinimide. 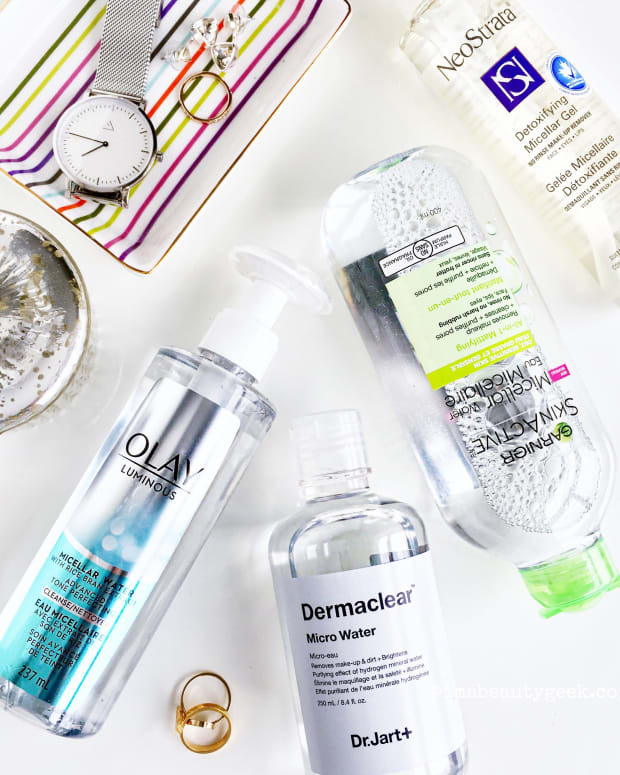 Simple Cleansing Micellar Water is happier on your bedside table. You&apos;ll be happier with it there too. If you&apos;re new to micellar cleansers and how they work, basically they&apos;re kinda like mild soapy water, except they don&apos;t contain soap. Like soap, though, they contain surfactants – that&apos;s what makes the cleansing water bubble up when you shake it, and what lifts makeup and grime off your skin. Just saturate a clean cotton pad and gently wipe it over your face including closed eyes (don&apos;t get it in your eyes – says so right on the bottle). Repeat if necessary (heavy makeup will require more than one go). Then you&apos;re done. The surfactants in formulas like Simple Cleansing Micellar Water are gentle enough that you don&apos;t have to rinse. I favour light makeup, nothing waterproof except eyeliner; my Simple micellar water removes almost everything easily, including mascara, and leaves my skin feeling clean, not sticky, nor stripped. It takes a little more effort with seriously waterproof liner, but I don&apos;t mind. One of my favourite things about this micellar cleanser is that it&apos;s available in the USA. Stateside beautygeeks don&apos;t have the variety of these types of facial dirt-removers that we do here. Not fair. (Also makes re-stocking tough on a visiting Canadian who stays longer than her travel-size bottle lasts.) But yay! You have Simple Cleansing Micellar Water at Walgreens, Ulta and drugstore.com. Canadians can find Simple at Walmart, Guardian Drugs, Shoppers Drug Mart, Rexall, Jean Coutu, or hotlink to well.ca.) For more info, hit simpleskincare.ca or simpleskincare.com. And of course, when you&apos;re at home, the best place to find your micellar cleanser is your bedside table, along with some soft cotton pads, a toner if you like one, and your night cream. Cleansing your skin of makeup and outdoor grime as soon as you get home is a great idea for your skin. But if your days are long and crazy busy, enjoying your end-of-day skincare ritual while you&apos;re nestled against your pillows -- it&apos;s quality-of-life-changing. Trust. 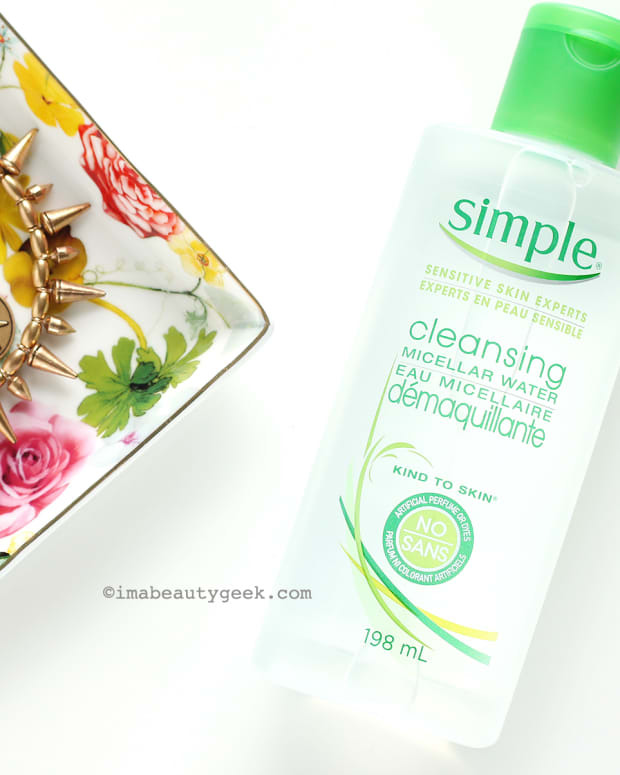 Have you tried Simple Cleansing Micellar Water? What&apos;s your usual method of taking your day off your face?